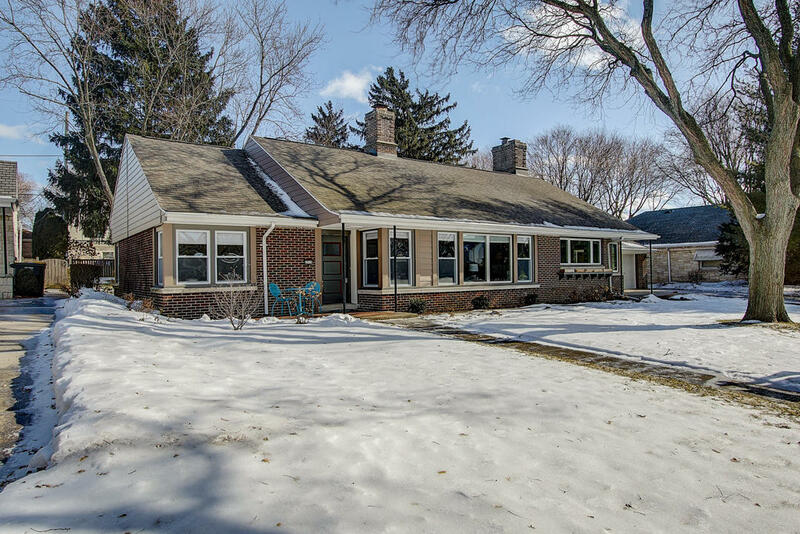 Stunning remodeled mid century ranch in one of Wauwatosa's favorite walk-able neighborhoods. Fabulous open kitchen with stainless appliances, tile back splash, rich dark wood cabinets and sparking granite. Sought after first floor laundry is generous in size and has a handy adjacent office space with access to large groomed yard and patio. Soaring Cathedral ceilings are the hallmark of the home with beautiful picture windows and great sunlight. 3 generous sized bedrooms and great master on-suite with tub and shower.